As kids, we were all taught to share our favorite toys. But as adults, we spend a lot of money and time acquiring our own stuff. And aside from the odd family visit or a special request from a friend, sharing our favorite toys — our homes and cars — isn’t part of our lives. 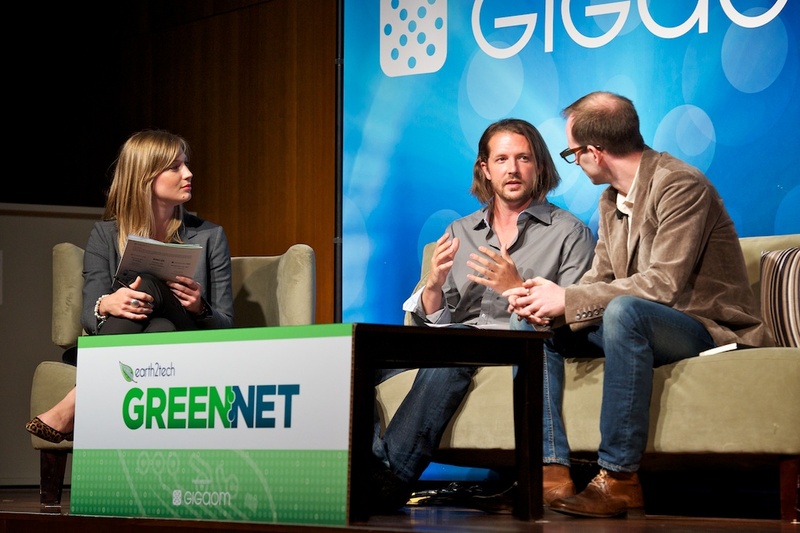 At Thursday’s Green:Net 2011 event in San Francisco, Shelby Clark of car-sharing startup RelayRides and Joe Gebbia of Airbnb talked about how their companies are leveraging the power of social media to take sharing into the grown-up world. But the kind of sharing facilitated by these new startups does more than appeal to users’ goodwill– they also make good financial sense, according to Clark. “The green economy is really the marriage of capitalism and environmentalism,” Clark said. “The masses make decisions [that are] economically driven.” The average car owner sharing her vehicle on RelayRides makes around $250 a month from the service, while the average RelayRides borrower saves $500 a month, Clark said. Successful startups in today’s green economy will make it so that the green choice and the economically sound choice are one in the same, he said. While both RelayRides and Airbnb are associated with very established industries — car rentals and hotels — both founders said they don’t feel especially competitive with the leading companies in those spaces. I’m all onboard with the sharing concept. Why should everyone on the block own a lawnmower that only gets used for an hour each week? Yes, would be much better to have something like a neighborhood co-op to check these out from. The problem is that this concept falls apart due to “bad apples”. Example, I loaned my framing nail gun to my neighbor. He kept it for a year, let professional framers use it who mistreated it so badly I couldn’t recognize it when it was returned. Then he refused to even pay for a $30 cleaning service at the repair shop. As long as there are people with lazy, irresponsible attitudes towards property stewardship, and there a lot of them, this concept will have trouble making inroads into the mainstream. That’s definitely a salient point, Mark. A lack of user confidence is one of the biggest barriers for adoption for these companies, and it’ll be interesting to see the different ways they try to combat it. RelayRides, for example, protects the cars in its program with a $1 million insurance policy. Mark you do raise an important point which is while the underlying concept of sharing is a valid one, the thing that will make for successful ventures in the space is the ability to build trust and maintain reputation online. It’s the difference between arranging holiday accommodation through Craigslist versus Airbnb. One system is completely open and relies on good faith, which can sometimes lead to disappointment. Airbnb on the other hand utilises their system to encourage good behaviours and display reputation out in the open so people can make informed choices and feel safe in their expectations. Check out NeighborGoods.net next time you think about lending out your tools, or through Snapgoods.com you can even make a bit of extra cash for your troubles. Hope you consider sharing again soon!